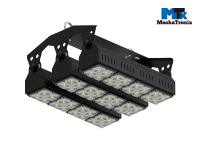 The design and manufacturing of horticulture LED Grow Lights. 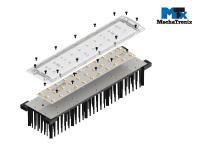 The design and manufacturing of LED cooling solutions from A to Z. 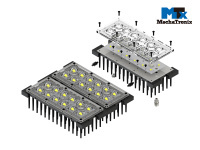 The LED coolers from MechaTronix are categorised either by the field of use which corresponds with the formats and lumen packages typically seen in that field,or by mechanical and thermal compatibility towards either the LED packages per brand and the corresponding optics. 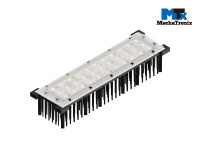 MechaTronix offers probably the widest range of standard LED coolers available in the market, from miniaturised star led coolers and pin fin led coolers for spot lights, track light and down lights over industrial LED cooler building blocks to complete "lego sets" to build extreme power coolers for the horticulture or industrial lighting field. 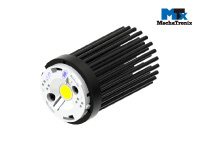 Mechanical compatibility with the LED engine and optics of your preference - no need of extra drilling and tapping and the costs and time delay which comes along. 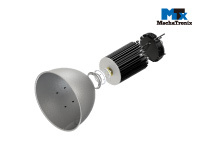 Proven thermal results - all combinations of your choice have been tested and documented, giving you an unprecedented insight in the temperature and lifetime you can expect with your luminaire design. 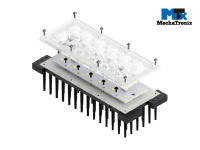 State-of-the-art thermal performances - MechaTronix standard LED coolers have been undergoing hundreds of hours of thermal optimisations, guaranteeing you maximal performance out of the given volume. 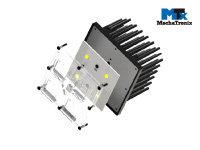 Besides standard LED coolers, the development team of MechaTronix assists its lighting customers and global distributors in developing the perfect cooler for their new product families. These co-design projects can start as easy as thermal optimisations within the boundary conditions you as a customer decide, up to complete designs from scratch where we go side-by-side with you or your designers. 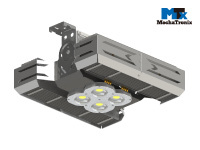 At the end of each design traject, we can either decide to make a mathematical approach of the thermal results, a full CFD computational analyses or a real field measurement on physical samples. 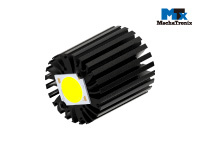 We would also like to invite you to read more about our LED manufacturing processes and thermal knowledge further on this web site. 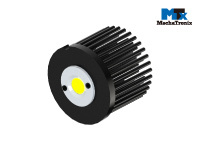 At last we hope you are convinced that with a knowledge and production partner like MechaTronix, you can make a difference in your designs.